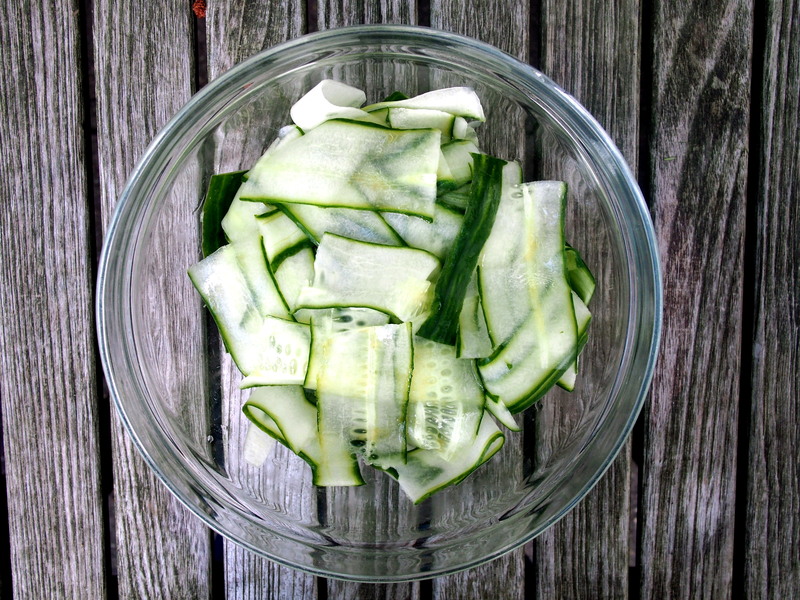 Slicing cucumbers are long, smooth and uniform in color. They are grown to eat fresh and are mainly eaten in the unripe green form, since the ripe yellow form becomes bitter and sour and the seeds become tough. 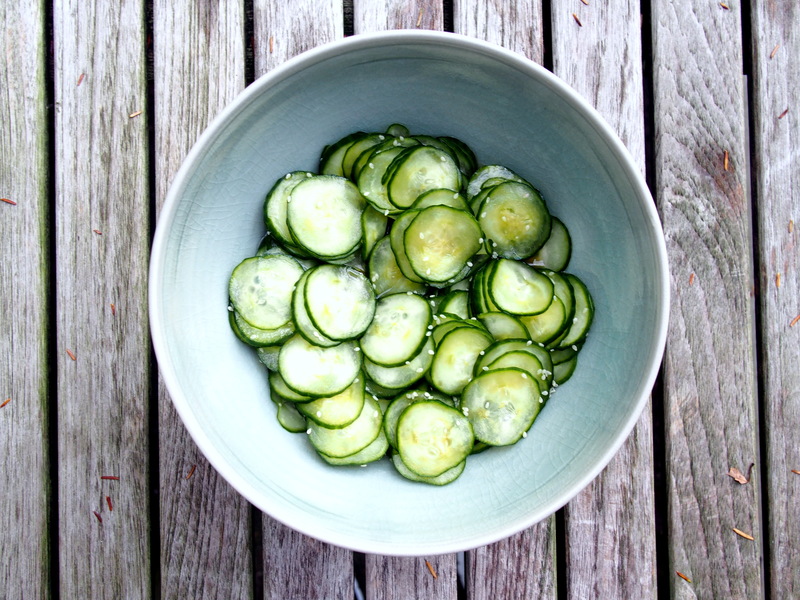 Pickling cucumbers are bred for a uniform length-to-diameter ratio (they are usually 3 to 4 inches long and 1 inch wide) and a lack of voids in the flesh. 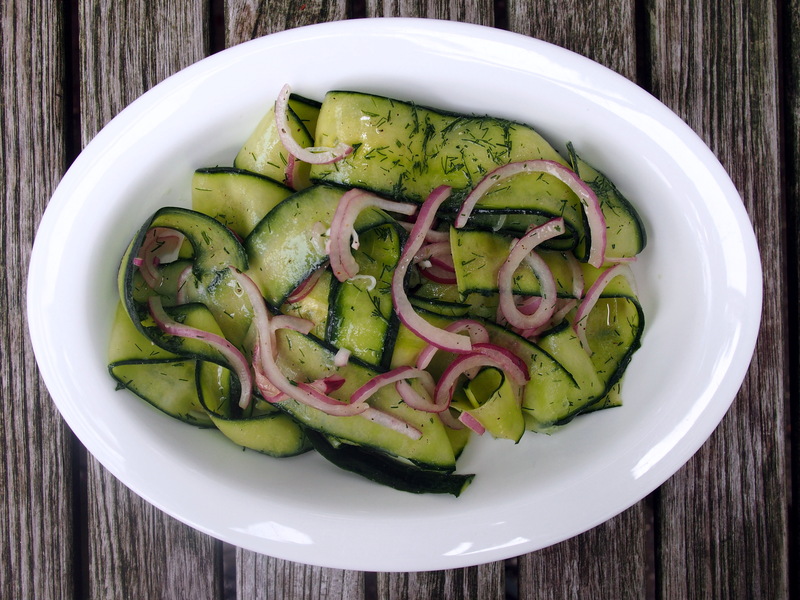 When sold fresh, they are usually called Kirby or Liberty cucumbers. 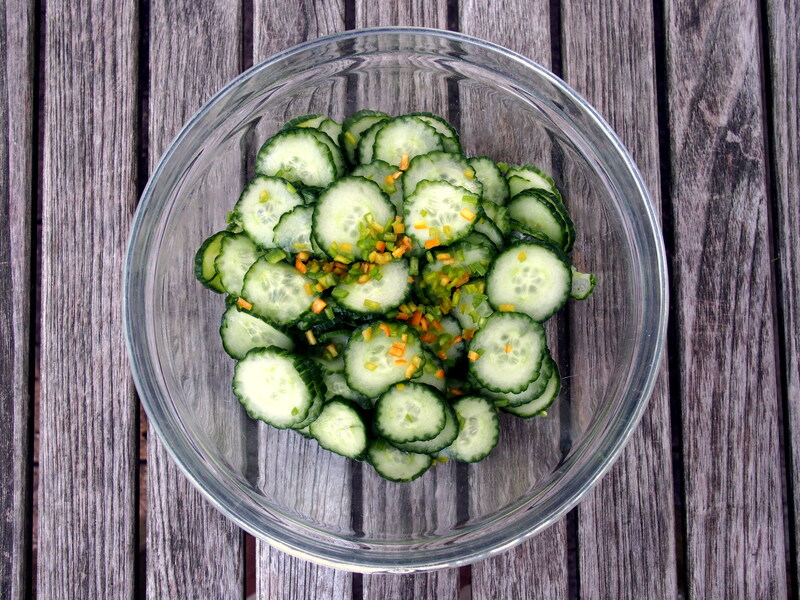 Burpless (seedless) cucumbers, often called English or hothouse cucumbers, are sweeter and have thinner skins than other varieties. In greenhouses, some grow to a length of nearly 2 feet and, while they are described as seedless, most have small seeds. You will typically find them in your grocery shrink-wrapped in plastic. Cucumbers have been cultivated for at least 3000 years. They’re believed to have originated between the northern part of the Bay of Bengal and the foothills of the Himilayas, in present day India. From India they spread westward to Greece and Italy, and later into China. According to the United Nation’s Food and Agriculture Organization, China today produces as much as 60% of the global output of cucumbers, followed at a distance by Turkey, Russia, Iran and the United States. Pliny the Elder wrote that Roman Emperor Tiberius had cucumbers on his table daily because ancient Romans used artificial methods (similar to a green house system) to grow cucumbers year round. 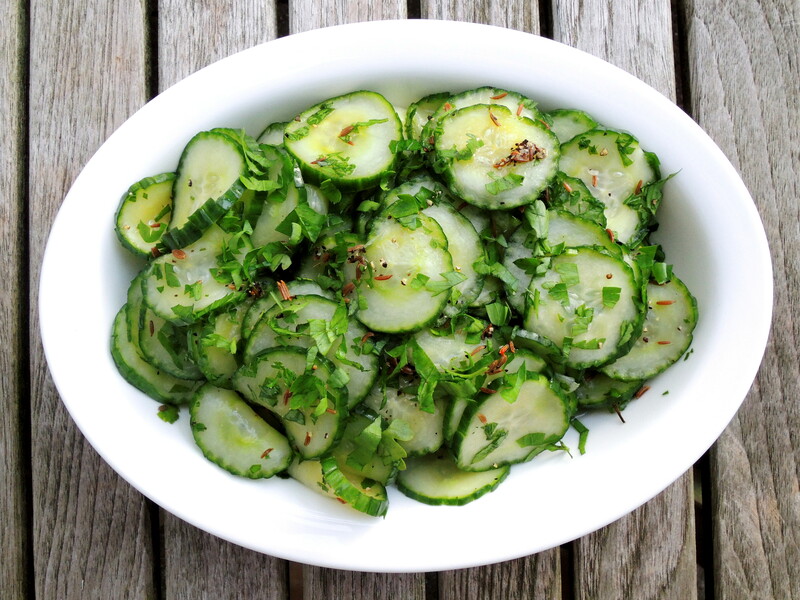 Cucumbers also are mentioned in the Bible as one of the foods eaten by the Israelites in Egypt. They probably were introduced to other parts of Europe by the Greeks and Romans. Charlemagne grew cucumbers in France by the 8th or 9th centuries. French King Louis XIV, the longest reigning monarch in European history (he became king at age 5 upon his father’s death in 1643 and ruled until his own death at age 76 in 1715), was known for his love of food. His gardener at Versailles, Jean-Baptiste La Quintinie, was assigned one million square feet of land to create a garden capable of meeting the court’s need for fresh produce. In le Potager du Roi (the King’s vegetable garden), built between 1678 and 1683, Quintinie borrowed a page from the Romans and grew cucumbers under glass, which acted as a greenhouse by capturing the sun’s warmth and expediting maturity. 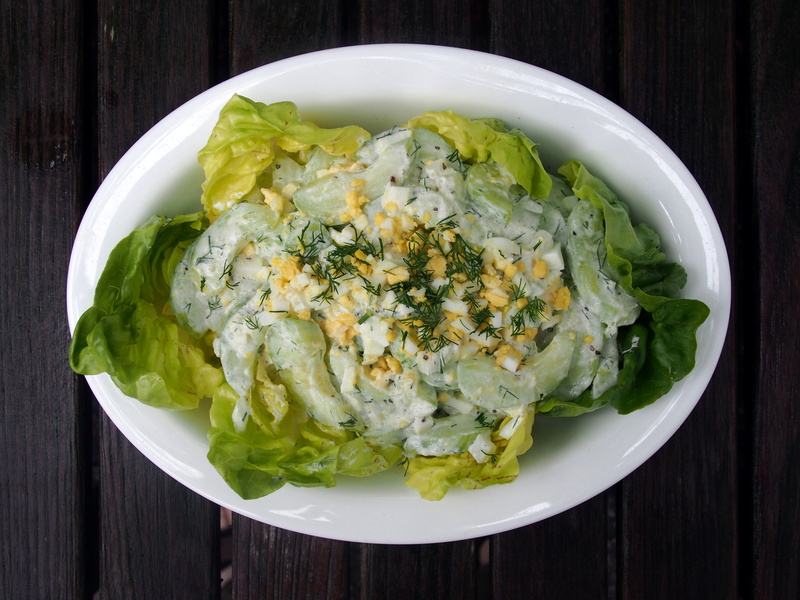 Cucumbers were introduced into England in the early 14th century, then lost as a result of a long period of war and turmoil, and reintroduced from the continent 250 years later. Christopher Columbus brought them to Haiti in 1494. Throughout the 16th century, European traders and explorers bartered for the products of American Indian agriculture. The tribes of the Great Plains and the Rocky Mountains learned from the Spanish how to grow European crops, including cucumbers and watermelons. In the late 17th century, concern arose that the consumption of uncooked fruits and vegetables encouraged summer diseases and should be forbidden to children. Cucumbers, it was believed, were fit only for consumption by cows, which is how they came to be called “cowcumbers” in some areas. It took a long time for these unfounded fears to abate. Cucumbers are more than 90% water. 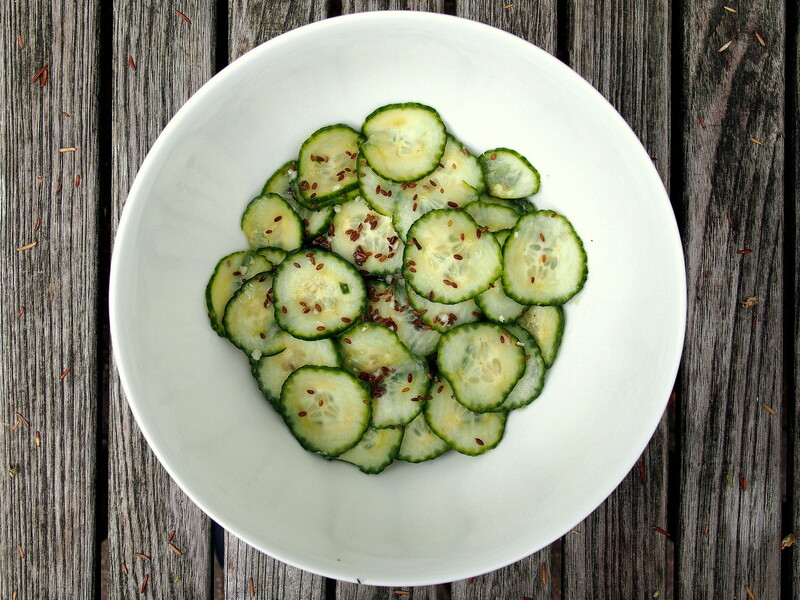 If unwaxed, both the skins and seeds of a cucumber are edible, but the seeds become bitter as the cucumber matures. That’s why many recipes tell you to scoop them out. 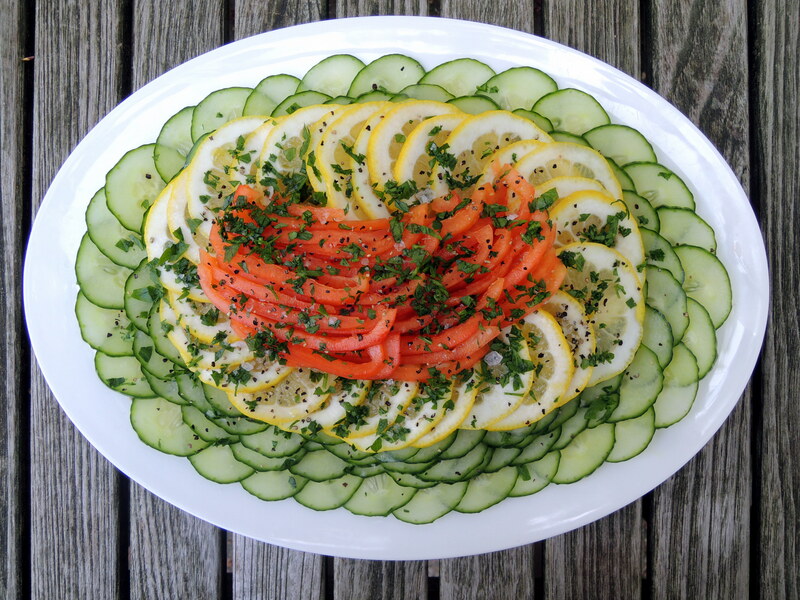 Peak cucumber season is from May until August. Choose specimens with smooth, firm skins devoid of blemishes or soft spots. 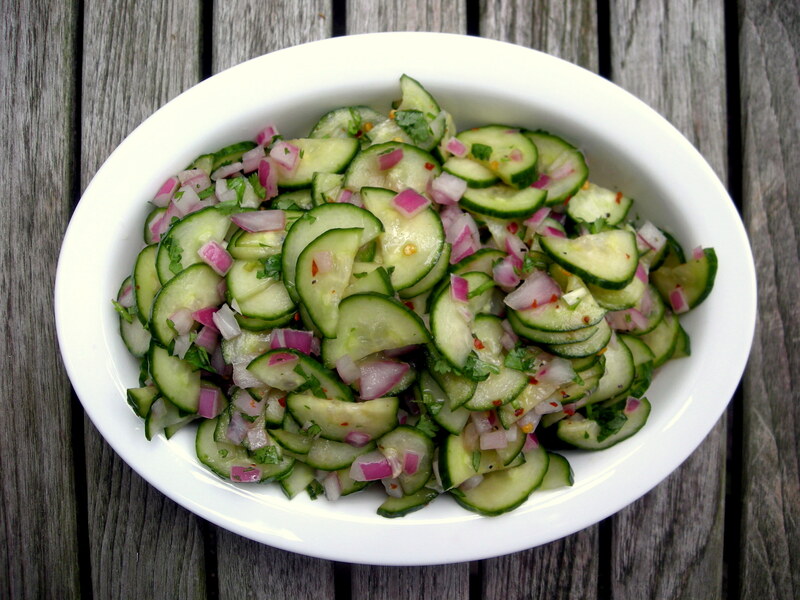 Although they can be cooked, cucumbers are most often eaten raw in salads or pickled. 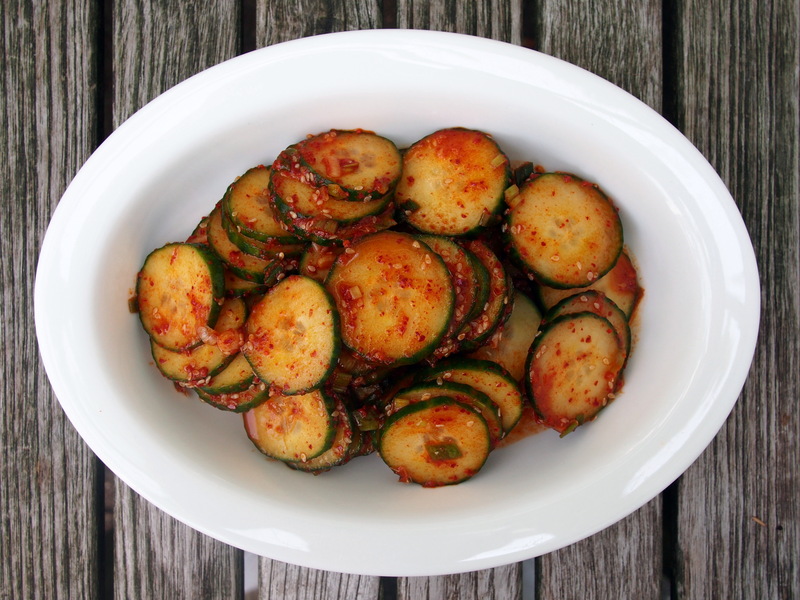 While pickling adds flavor and extends the shelf life of cucumbers, it degrades or removes much of the nutrient content, especially vitamin C.